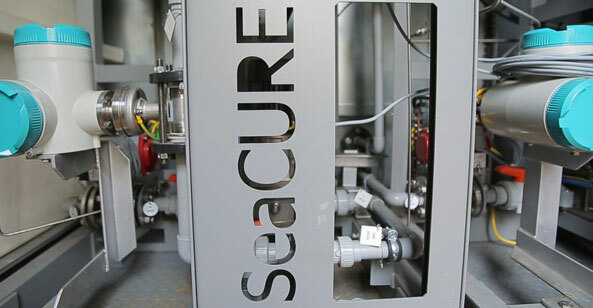 SeaCURE™ Ballast Water Management System(BWMS) is a necessary water treatment equipment to protect ocean ecosystem and in order to comply with new environmental regulations, vessels should install the system as a mandatory. As a franchise partner chosen by Evoqua Water Technologies in 2015, Krosys has sold and manufactured SeaCURETM targeting the domestic market. Evoqua Water Technologies as a global leader in the water industry is a company having a new name from Simens Water Technologies. SeaCURE™ system is electrochlorination BWMS which uses a side stream and is developed based on Chloropac® marine growth prevention system that has been used in the maritime and offshore industries for over 40 years. SeaCURE™ gained IMO type approval and acheived AMS acceptance from USCG for all three salinities of sea, brackish and fresh. After having completed low salinity water test in the US by US IL in 2015, SeaCURE™ is now undergoing USCG type approval tests and is expected to attain the type approval of USCG before the regulations go into effect.